Nitrogen plastic welding is a new technology in the automotive collision repair industry, having been initially commercialized by Polyvance in 2006. Because the technology is new, many technicians and other industry professionals are unfamiliar with it. Polyvance provides hands-on training courses that will help you properly identify, repair, and refinish automotive plastics. 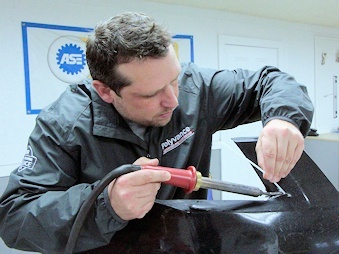 Polyvance's training organization is accredited by ASE-ATMC as an adult education provider and is an approved I-CAR® Industry Training Alliance® program training provider. Credit toward I-CAR knowledge areas in certain roles as well as annual training requirements can be awarded by taking PR-01, Introduction to Nitrogen Plastic Welding. Students who successfully complete this approved training are eligible to apply for I-CAR credit hour(s) and/or Knowledge Area recognition. Description An introduction to the repair of thermoplastic auto parts using hot nitrogen gas. Many technicians are confused by the plastic identification process. Use of the nitrogen welding equipment is often misunderstood. Technicians who have never used the equipment need hands-on instruction to fully understand the process. Many bumpers are discarded because of damage to small detail areas that are repairable with the nitrogen plastic welder. The technician needs hands-on experience repairing these commonly damaged areas. Many technicians are under the mistaken impression that thermoset polyurethane (PUR, the “yellow plastic”) bumpers are not repairable. Prerequisites No prior training course experience necessary. All that's required is an interest in learning the subject matter. Experience Required Basic knowledge of body shop tools and processes is necessary. Time Required The course takes about three hours to complete. I-CAR Training Alliance? Yes, students who successfully complete this approved training are eligible to apply for three (3) I-CAR credit hour(s) and/or Knowledge Area recognition. All students must complete the pre-test, post-test, and hands-on section of the course in order to apply for the 3 I-CAR credits. 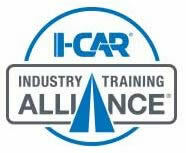 I-CAR credits are included with the cost of this course because Polyvance is an I-CAR Sustaining Partner. Location This training may be scheduled at your body shop. It may also be scheduled at the Polyvance factory or at neutral locations such as trade schools or jobber stores. Cost $500 per session for up to three students simultaneously. After we receive your training request and payment, the Polyvance’s training manager will discuss scheduling and logistics with you. If we cannot schedule a class in your location within eight weeks, we will refund your money in full. No training sessions are currently scheduled at this time. This course is primarily delivered at the customer’s body shop by one of Polyvance’s authorized instructors. Email training@polyvance.com or call 800-633-3047 / 256-638-4103 to request a training session at your location. The training organization of Polyvance seeks to provide quality, hands-on training for industry technical and management personnel, allowing our students to safely and effectively use our products to become more successful, confident, and profitable in the repair and refinish of plastic parts. Credit toward I-CAR knowledge areas in certain roles as well as annual training requirements can be awarded by taking one of our I-CAR Training Alliance course activities listed above. Students who successfully complete this approved training are eligible to apply for I-CAR credit hour(s) and/or Knowledge Area recognition. 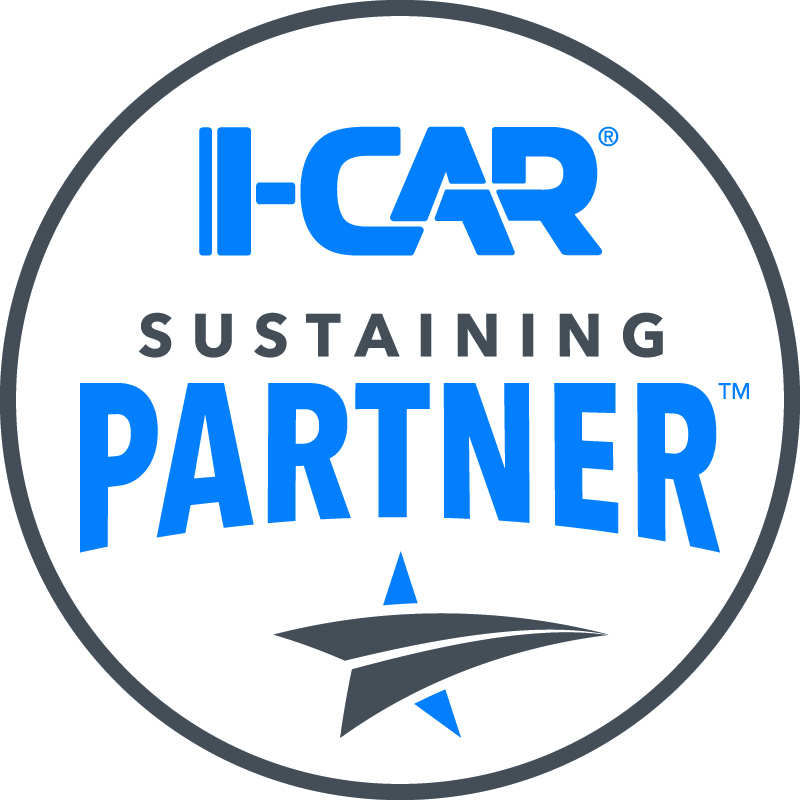 The I-CAR® Industry Training Alliance® exists to recognize the accomplishments of training through approved training providers. All programs approved for inclusion into the Training Alliance must support the I-CAR Vision that every person in the collision repair industry has the information, knowledge and skills required to perform complete and safe repairs for the ultimate benefit of the consumer.